This is one of our luxury wedding tents for sale. It is a 15x25m clear top wedding tent for 300 people. All four sides are decorated with custom linings. Anyway, you can have all white roof lining and side curtains as you request. We also offer different tent roof colors and tent sizes, which makes the outdoor wedding tent looks more beautiful and special. 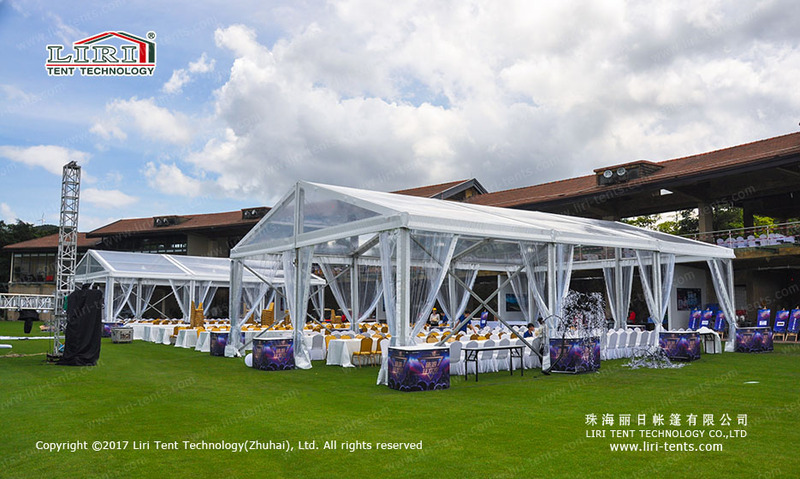 Liri uses clear span tent which is an improved frame tent as the wedding tent. It is totally different from a Sperry tent or pole tent. There are no poles inside so that you can have 100% inner space to layout your wedding. The tent width is from 3m to 60m, and the length has no limit. We can recommend customized sizes, types, designs for your special needs. Moreover, our frame wedding tents are light and strong, easy to move and install. Established in 1997, we have exported our wedding marquee tents to over 130 countries and got reputation of high quality. We can offer full set international certificates of our tent, proving the safety and reliability. 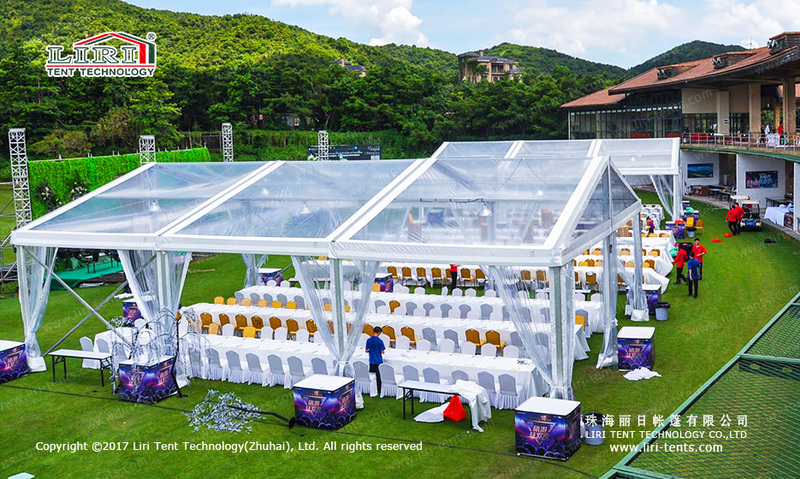 If you buy any clear span wedding tents from LIRI TENT, you don’t need to worry about anything. If you want to know big wedding tent cost, just SEND your detailed product inquiry. We will get back to you as soon as possible.